Five Tips to Learn French, FAST! 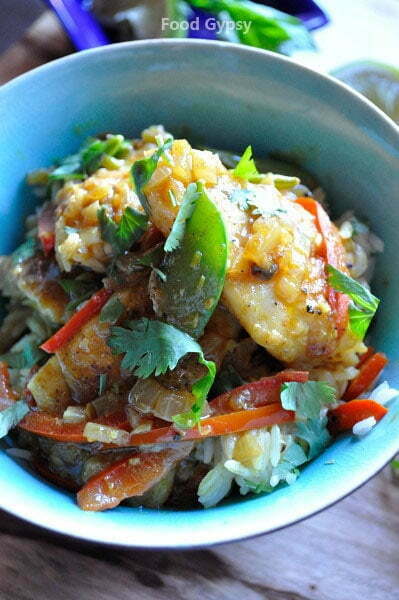 Whitefish in Yellow Curry, Thai inspired, Indian influenced, this is a curry that blends the best of two worlds. Deep turmeric tones and the light acidic touch of lemongrass and a hint of heat, paired with a smooth, buttery fish. 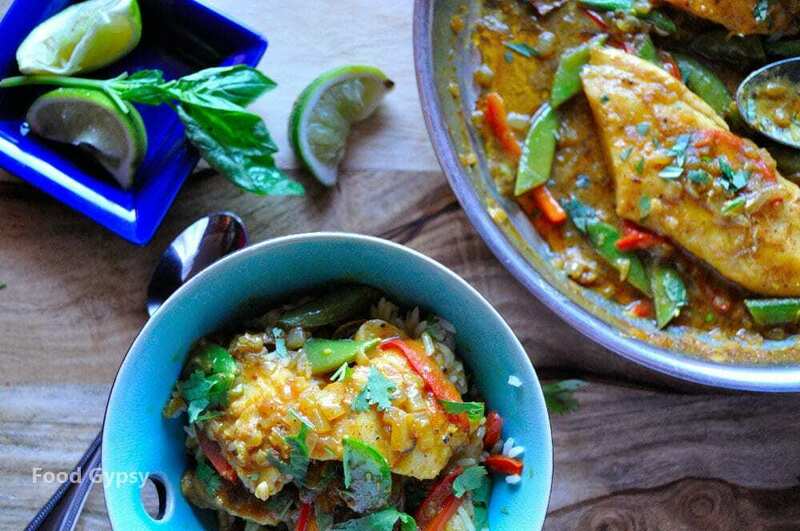 A mellow yellow curry, you want a fish that doesn’t overpower, but instead is a neutral foil. For this recipe we used a freshwater Whitefish. Ocean Wise, local and wild, whitefish has a light flaky flesh and full, easy flavour to make it the perfect companion to a rich, coconut curry. Richly spiced thanks to a peppy sauce made with onions, garlic, ginger, lemongrass, turmeric, cumin, fenugreek, fennel seeds, cloves and cardamom and finished with cool earthy coriander, it’s a great way to stay warm – from the inside out. 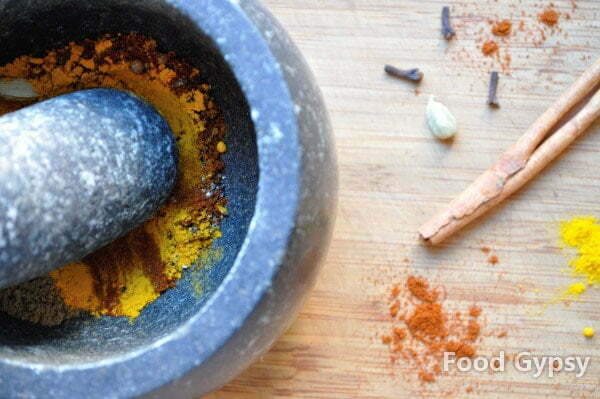 If you have a spice grinder, break it out because there’s a whole lot of big curry punch to blend! The curry recipe is wicked good but the fish is probably more important so let’s take a moment to touch on a resource I highly recommend: the Ocean Wise App (for IPhone). I’ll be honest, the Ocean Wise app and Kitchen Dial (which converts cooking units, and saves me tons of math) are two key reasons I refuse to switch to android. Combined, they’re too useful to give up. With the Ocean Wise app I have been known to stand on the other side of the glass at my local fish counter/shop and do my own research. Is this fish farmed? Is it wild? Is it sustainable? How is it harvested? Is it safe? And most importantly, is it endangered? Watch for Ocean Wise labels at your local supermarket and on menus at restaurants. More and more businesses in the foodservice industry are shifting their focus to make ocean-friendly choices. November is Ocean Wise month – So get the app, check the website; find alternatives if necessary and EAT WELL! Here’s a little ocean link love for readers near and far: Seafood Watch USA, a list of Seafood Guides, worldwide, via the World Wildlife Foundation. Toast coriander seeds, cumin seeds, fennel seeds, fenugreek seeds black pepper ( if using peppercorns) cloves (if using whole cloves) and cardamom (if using pods) over high heat in a small, dry pan for about 4 minutes, until lightly browned and fragrant. Remove from heat to cool. Once cool combine toasted seeds with ground/dried spices and grind together into a coarse powder using a mortar and pestle or (clean) coffee/spice grinder. Remove and reserve. 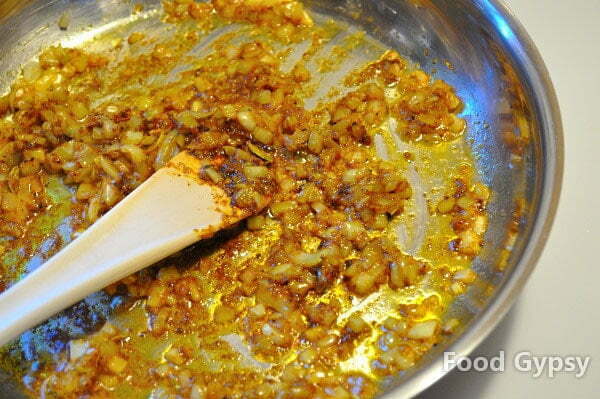 Make your curry paste: In a large sauce pan over medium heat, start with your cooking oil, then add onions and sweat them lightly. 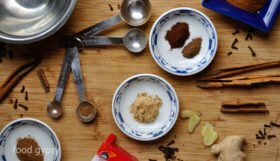 Add garlic and ginger and stir to prevent burning (reduce heat and or add more oil if needed) then add half your spice mixture and all the lemongrass, stirring constantly until a thick, heavily fragrant paste forms. Add coconut milk and stock to spice paste and bring to a simmer, then add curry leaves and cinnamon stick and reduce heat to medium low. Pat fish fillets well with paper towel and rub with remaining curry spices, adding salt to taste. 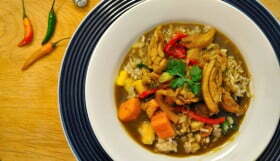 Gently place fish to curry sauce, and top with vegetables, cover with tight fitting lid and steam for about 3 minutes. Flip fillets, stir in vegetables and cook for another 3 minutes (depending on the size of your fish). Remove curry leaves and cinnamon stick before serving. 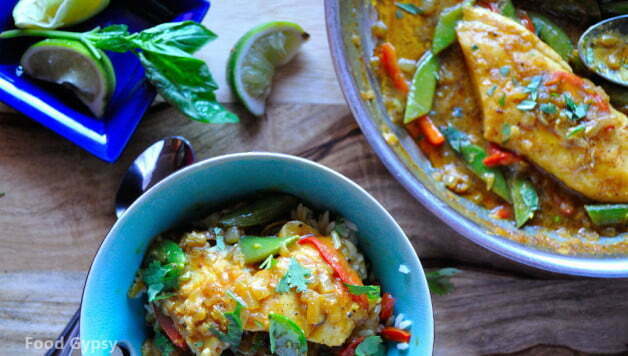 Serve Whitefish in Yellow Curry with sticky jasmine rice. Top with fresh chopped cilantro (and/or Thai basil) and a wedge of fresh lime and --- voila, a meal to wow the (ocean) wise. 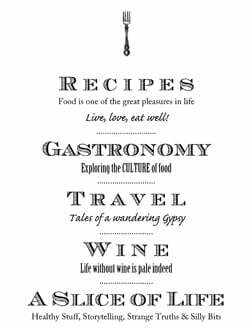 Gypsy Recipe testing and blogging about food, wine and the art of great living from her home kitchen just outside Ottawa; Cori (Corinna) Horton is a food marketing consultant, cook and real food advocate sharing all things delicious - right here. 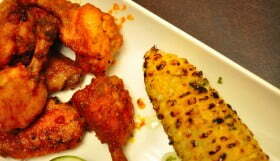 Welcome to Food Gypsy, real food for real life. 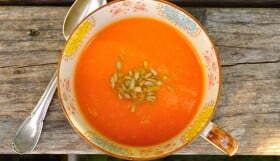 Simple, fast, elegant recipes inspired by years in the kitchen and a never ending curiosity. Featuring ingredients and products that intersect both an appetite for life and a taste for adventure! Sharing pro tips, sustainability measures, fascinating food experiences and some of our favourite bottles of wine. Living a nutritious, DELICIOUS life. All rights reserved. Contact for permissions.  Copyright Food Gypsy 2010 - 2017.